"WINE IS THE MOST HEALTHFUL AND HYGIENIC OF BEVERAGES... Louis Pasteur" The fermenting of grapes and grape juice into wine, is a natural process that has been enjoyed by man for thousands of years. The choices made in the vineyard and winery are of relevant to the wine enthusiast as they directly affect the final product. There is an unprecedented array of choices that will affect the way the wine tastes. GRAPES HARVESTING grapes are harvested from vineyards as ingredient for making wine. The grapes must be fresh and fully ripened for them to be the preferred raw material for wine making. Because of the effect upon grape composition, proper timing of the harvest is of great importance. 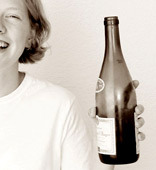 Premature harvesting results in thin, low-alcohol wines. 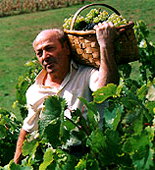 Late harvesting may yield high-alcohol, low-acid wines. PRESSING AND GRAPE's JUICE SEPARATION the crushed grapes are placed in a press. The traditional basket press is gradually being replaced by a horizontal basket press, which applies pressure from both ends. Continuous screw-type presses are also employed, especially for drained pulp. 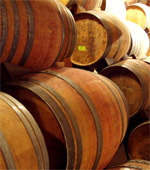 Continuous presses are practical in production of red wines, in which skins, seeds, and juices are all fermented together.